"Return to the Public Sphere! Three or Four Things to Do With a Major Research University" Cutting across disciplines, going outside the University, completes the total picture of what University life could and should be. 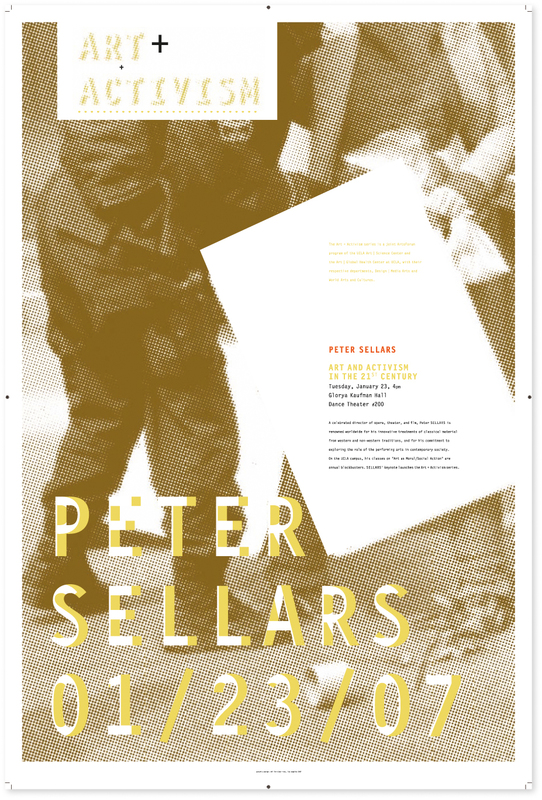 Peter Sellars is one of the leading theatre, opera, and television directors in the world today, having directed more than one hundred productions, large and small, across America and abroad. He is a recipient of the MacArthur Prize Fellowship and was awarded the Erasmus Prize at the Dutch Royal Palace for contributions to European culture. A graduate of Harvard University (where during his senior year he directed Gogol's The Inspector General and Handel's opera Orlando at the A.R.T. ), he studied in Japan, China, and India before becoming Artistic Director of the Boston Shakespeare Company. His contemporary visions of Mozart's operas Cosi Fan Tutte, The Marriage of Figaro, and Don Giovanni, created in collaboration with Emmanuel Music and its Artistic Director Craig Smith, were hailed in Boston and in Europe and were televised by National Public Television. At tenty-six he was made Director of the American National Theater at the Kennedy Center in Washington, D.C. He was Artistic Director of the 1990 and 1993 Los Angeles Festivals, and is currently a Professor of World Arts and Cultures at UCLA. Mr. Sellars has collaborated with The Wooster Group and was featured in Jean-Luc Godard's film of King Lear. He has also appeared on Bill Moyers' A World of Ideas, Miami Vice, and The Equalizer, directed a rock video for Herbie Hancock, and produced a series of radio episodes for The Museum of Contemporary Art's The Territory of Art series. His first feature film, The Cabinet of Dr. Ramirez, is silent in color (starring Joan Cusack, Peter Gallagher, Ron Vawter, and Mikhail Baryshnikov).